Zazen is a physical practice that utilizes breathing to realize the unity of mind and body. Physical awareness is the basis for mental awareness. When our posture is clear and firm, we settle into our natural center and breathe completely. Through unified breathing, with our whole mind and body, we discover our true relationship with our world. The desired characteristics for our posture are stability, alertness, and relaxation. We must sit still, firm. We must not move. We must be vigorously alert, awake in good posture, without tension. During sitting, we must become aware of our hara, the area an inch or two below our navel. This is the center of gravity: the locus between mind and body. Sitting in our hara, we breathe the way children breathe at birth: utterly natural. Inhaling, the area below our navel expands; exhaling, the area contracts. From your hara, be aware of the physical sensations of breathing and the sensing of the surrounding world. As we inhale and exhale, our subjective mind repeatedly asserts itself and thoughts arise. Whatever the content, return to the silent immediacy of our body’s physical sensations. Ignore distractive thoughts and emotions by following through as we exhale. Exhale completely and always return to your hara. This practice is simple to describe, but extremely difficult to manifest. Time never stops, and we must practice at the speed of life. Find your home in your hara. Whether sitting in the Zendo or moving through your daily responsibilities, always begin from your hara. Whenever lost or confused, exhale and begin again. It is very simple. It is our own confusion that makes difficulties. Start with the hara. Sit like a mountain. Breathe like a baby. The best way to learn the basics of zazen is to attend Beginner’s Instruction which occurs the second Saturday of the month at 10:30 am. 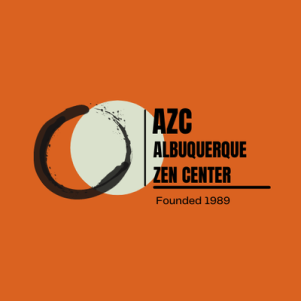 In addition, several times a year, AZC offers a three-day introduction to Zen practice. Held in the evening, each session focuses on a different aspect of the practice—instruction in etiquette, sitting postures, breathing techniques, and how to extend your practice from the zendo into daily life. Always feel free to ask any of the zendo officers or more experienced students questions about etiquette and practice before or after zazen periods. During formal practice, you can consult the Shoji during kinhin—walking meditation—periods. The details of the rituals we practice such as chanting, bowing, kinhin, tea service etc., may seem intimidating, but they all have a purpose and they become familiar quickly. There are many resources—books and web sites—that explain and illustrate Zen vocabulary and etiquette. Some suggestions are listed below.